The restaurant Promenáda is on ground floor of same named hotel in one of the most famous spa towns or baths in Europe called in German Karlsbad and in Czech Karlovy Vary which is also the official name since 1945. This restaurant is considered to be one the best ones in Karlovy Vary. It is a hot spot of Czech prominent, celebrities and stars. Of course very many guests are also tourists and spa guests. It is high-class Czech cuisine what you can get there; rather more meat dishes than fish but all in all not too heavy meals as perhaps some of you would connect with Czech food. It is recommended to make a reservation since places are limited and as said the place is popular. I am visiting this restaurant generally once per year and had most of the times really good experience. The staff is very friendly and even recognizes you which is very impressive considering how many guests those waiters see each year. This said, the last time I went there – which had been recently – I was disappointed. The food was satisfying and good, but nothing special at all unfortunately, without any extraordinary note of kick. Instead of some greeting from the kitchen they usually serve a selections of different small appetizers – or call them morsels – which you can select from a plate: pies, rolls or terrines. This part was still as all years before and good. 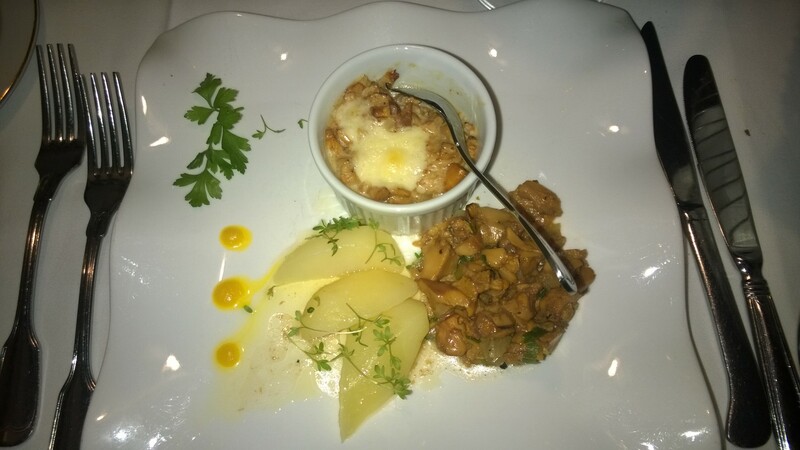 But the appetizer – chanterelle prepared in two different ways – was much too fatty and taste wise killed by unreasonably lot of cheese. As a main dish I had filet of venison which indeed was prepared agreeably and tender; but for sure not a piece of meat I will remember. The side dishes were uninspired and pretty boring. The decoration of the plates is a brutal contrast to what the restaurant pretends to be. The dish of my companion wasn’t much better regrettably. Hopefully I just came back on a bad day of the chef. If not, probably the past success of the restaurant made them lazy. This would be too sad. The wine list is fair but nothing special. There is some Czech wines of course! 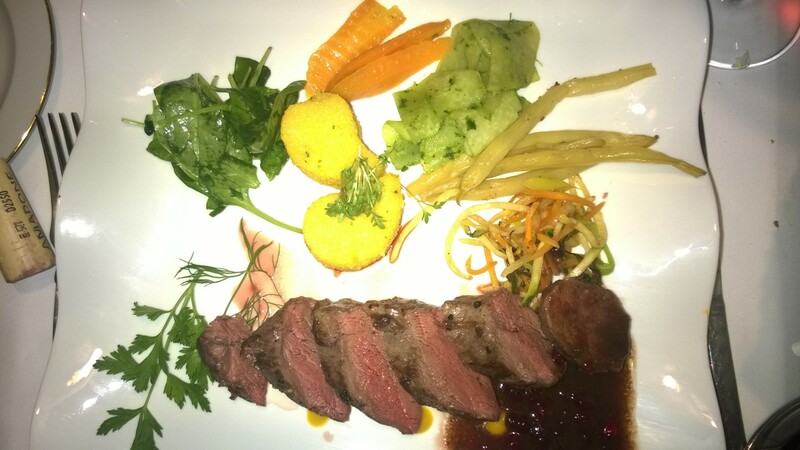 Please see the link of the restaurant: https://hotel-promenada.cz/cs/restaurace.